Caught this bird going nuts in my fountain the other morning. Getting feet wet, testing the temp (I presume). Mouth is open, so must be having a good time. If you click on the pic, the suspended water droplets make it look like a glass ball. You know, like the paperweight with a bird image inside that your grandma gave you when you were a little kid, when all you wanted was some cash to buy a Lego set. But now you sure do miss your grandma, and would give anything for a bird paperweight--even all your boxed up Legos. That's it--get behind the ear, too. And fluff until dry. Next week I'll be installing air blowers, like at the car wash. I'm full service here. I'm not seeing many bloggers I know touch on the subject of the Gulf oil spill. It is a sensitive issue, so realizing that, I'll just jump in blind and irrate and full of emotion, and anyone stopping by can feel how you want--but for God's sake, FEEL SOMETHING. I see a great lack of feeling from the government--a "this too shall pass" anitpathy. Some are tossing around the idea Obama is Bush 2, in relation to the latter president's treatment of a certain hurricane a short while back. But, this is nothing new. A president--a politician--must constantly straddle as many lines as possible, that's what the job entails. To a degree. I might even say a congressperson or senator should straddle even fewer lines, since, theoretically, they directly represent local / state interests at the larger federal level. It's clear there is a massive sense of anguish, pain, sorrow, and frustration right now. I only pray, that this event, coupled with the economy, may do something to change America's course. I honestly see alternative energy development--along with the needed refined infrastructure to make it happen--as a key development in our economic recovery and future political / social / cultural stability and evolution. I'd like to see some of that post world war swagger come back when it comes to technological innovation, national pride, and international cooperation. Here's what it comes down to for me. Ready? I want to see as many dead fish and birds wash up along the Gulf coast as possible. I want to see fisherman and other dependent industries go belly up. I want to see the everglades and other coastal marshes destroyed. I want to see another hurricane wash up past those vanished defenses of marshes and do their worst. Maybe then we will end our complacency and denial and isolationism, but it must be a total and complete reckoning. I want to see every elected official in this country serve no more than one term UNLESS they do something about our country's lack of identity and potential. No one should vote for an incumbant, no matter party affiliation. Heck, at this point, aren't we almost beyond party affiliation? I vote "democrat" on some issues, "republican" on others, and "green" on yet more. Yes, this is rage, and it also hopelessness--a potentially deadly combination that has historicaly lead to the end of cultures. The point is, no one should stay in office if they aren't cooperating with other elected officials while listening to, and performing the will of, those who directly elected them. Accountability. I lose my job if I underperform to my employer's expectations. Simple. So freaking simple. I don't really want to see families starve, businesses wiped out, a massive eosystem destroyed--and likely none of this will stay in the gulf if we have to wait for a relief well to be dug in a month. I know some will find this post naive and simplistic, but irrational anger often is. Such an emotion is also a beginning. Our dependence on oil, foreign and domestic, is destroying our emotional, psychological, and physical well being. This dependence is also eroding, if not pounding one of the last nails into the coffin, of our American spirit and identity. We can't truly be a free and democratic society until we balance our pursuit of life and liberty with that of all the other life on this planet--life which we depend upon in countless tangible and intangible ways. This balance can be done. Maybe anger and pain and sorrow are the first signs of some greater hope we have yet to realize. Can they be? My plants have been using HGH overtime (or PGH I guess). Steroids. Steroids. Technically, this is pretty much year 2 or 3 for the majority of these perennials, so if the sleep, creep, then leap theory holds water, we have liftoff (had plenty of rain this spring, and on March 1 the switch flipped from 2' of snow and way cold, to 50 and way sunny). I don't use inorganic fertilizer, just compost and lots of clay soil with tons of worms. Clearly, in my garden, whatever the plant tag says, add 1-2 feet in each direction. It's only May! That fountain is 3 feet tall, by the way. I enjoy the way the sunset lights up the foliage and petals of this ninebark (above). Plus the butterflies adore it--as do the black aphids. Speaking of which, first monarch butterfly spotted yesterday on some 'globemaster' allium, struggling in the 40mph winds. Usually don't see monarchs until July. Surprising, especially since their winter roosts in Mexico were annihilated and will likely never recover. A small filipendula (above) whose cultivar name I forget, but which, after 3 years, is finally growing for me. The bloom smells very sweet on this dainty stem that shoots up red buds, then opens white 12-18" atop short basal foliage. Well, I hear neighbor #4 of the day is mowing, so I have to go put in ear plugs. 8am this morning the mowers began. But hey, it's 90 degrees with a 69 dewpoint, so who can enjoy the garden anyway. Peace be with ye. In the name of the compost, the filipendula, and the monarch. Ok. Never entered before. Here's my "spring fling" pic of tulips snuggling with each other--so, a slightly different take on the theme than what I've seen elsewhere. 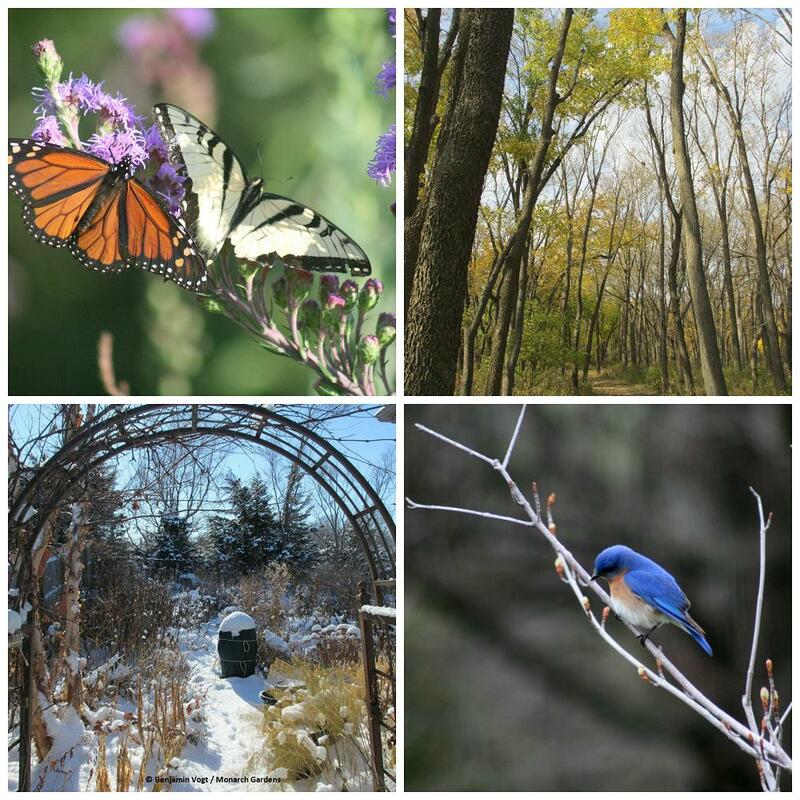 Every month Gardening Gone Wild hosts a photo contest. Check it out. 5/29 -- I won!! Neat. This makes up for 3 rejected essays this week (not really, but I must try something to inflate my precarious ego). Lately, as my perennial garden fills in, I've been thinking about vegetables. Someday, I'd like to have a vegetable garden, but right now the ornamentals keep me plenty busy--especially when the grasshoppers and, as is the case now, black aphids attack. 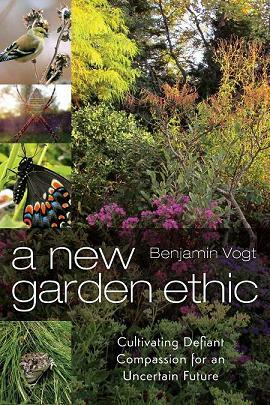 One of the debates between ornamental and vegetable gardeners is one of moral / ethical beliefs and values--along with financial, of course, but I'm putting aside the latter for the moment. I feel an imperative to garden not for my physical self, not for my own physical sustenance, but for that of the thousands of other creatures and organisms who I share this plot of land with--whose land I invaded. This isn't a statement of guilt, but one of mutual benefit and acculturation. A gardener must become a self-cultivated and integral part of the landscape, and I just don't see vegetable gardening as such. There is much lacking in vegetable gardening for me. Yes, one might very well be able to create a vegetable garden that appears ornamental, or mix veg and perennials together, but I find that blurred line uncomfortable. Am I elitist? How can a utilitarian vegetable garden, with its necessary rows and divisions of plants, ever be ornamental? How can one have vegetables among ornamentals and not lose them? I've lost many perennials already this spring due to the lush, thick, steroid-like growth of a third year garden. The way I see it, ornamental gardens are metaphors for our roles on the planet--as stewards, as mediaries, as middle men or women. When I walk into an ornamental garden there is a tranfiguration of what my senses are accustomed to. I am transformed and transplanted. There is a spiritual and psychological shift that is deep and echoes long after I leave the garden. There is also a sense of providing for insects, birds, amphibians--a satisfaction that is not like having just bought the newest television or cell phone, but a sort of humbling peace that places me in the middle of creation. All of my senses, desires, hopes, and fears are immediately balanced in an ornamental garden to the point where I can live through and beyond them. Not once have I felt this in the rows of vegetables. I might sing a different tune if I did not have a grocery store down the street, or two pennies to rub together. But for me the issue is that to have a garden, to work in a garden, is to attain sustenance on multiple levels at once in a way no other hobby or profession can allow. I am providing for myself as much as I am providing for the world around me, and this is the balance I often feel and that drives my sense of myself as I go out beyond the garden. In the morning bumblebees and butterflies dive from allium to amsonia to salvia. In the evening the baby rabbit scampers from the cover of geranium to monarda. A robin plunges its head into the fountain. Brown thrashers pull up mulch and mourning doves sleep in pairs behind the spiraea. I hunger for nothing else. Here are the first few pages of the book, Morning Glory: A Story of Family and Culture in the Garden. Happy Mother's Day to the woman who has given me a green virus that is getting worse and worse each year--thank goodness. For the last hour I’ve drifted in and out of consciousness, serenaded by the dull drone of a lawnmower and the confusion of where I am: my apartment back in Ohio, the bedroom I had as a child, or my sister’s former room, now my parent’s cramped guest room. It’s ten a.m. and the minor jet lag from a five hour trip is still clearly in my system. I slide over to the bed’s edge and carefully peel back the blinds. Only one part of the front yard is in sunlight, the thin strip of grass along the street and the eight foot tall rock garden sloping up toward the house. The bed itself stretches from the driveway to the property line, about forty feet, and is scattered with larger stones that are settled in amongst river rock. I see the mower beached on the lawn near the corner of the garden, and like an arrow, a spade’s handle and arm peaking out from the edge of a sugar maple’s dark canopy. I’ve come home for a visit from grad school where I was working on a masters degree, begged for months to take time out of my writing and teaching, and now that I’m here I’ve woken to an empty house. Downstairs, the shades are up, the sink is full of dirty breakfast dishes, and the windows open to a cool, lingering spring in a June morning damp with the scent of lawn clippings. This was hardly the open-armed visit I’d expected, so I decide to go in search of one, knowing the exact location lies outside. For years I helped and learned from my mother around the house, literally around—outside in the yard within the borders of less than an acre in the western Minneapolis suburb of Chanhassen. We planted together in the three months a Minnesota summer allows, and my apprenticeship was at times a willing one, but more often than not like forced labor. 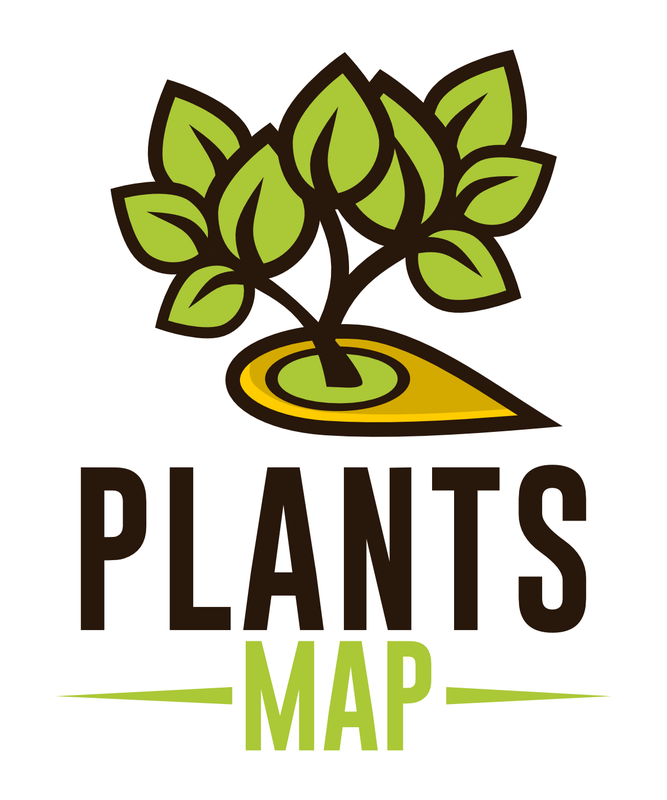 This meant I never learned much about plant names, cultivars, what would grow and how it would fair in zone four. I did, however, learn how to dig a ten dollar hole for a one dollar plant. In many ways the garden is still a foreign place to me, and my walk through it is part awkwardness and distance from my mother, a woman unknown to me as the flowering perennials. “Hey, Mom.” I whisper from twenty feet away. “It’s good to have you home, you know, even if it’s just for a week” she says to the depths of a shrub rose she’s pruning at the base of the rock garden. “Are we doing anything for lunch?” I ask, wondering if I’m being intrusive, what mood she’s in. “I don’t know, whatever you want. Hand me that spade, will you?” She stands up, grabs the shovel she’ll soon use to dig another hole, leans on it with her left arm, and wipes her brow with the other. Her pastel green gardening gloves are dark brown at the tips, a pile of already drying weeds and twigs are behind her on a patch of lawn. “The morning glories don’t even make it to noon, do they,” I comment, turning my attention over to a copper obelisk covered in languid vines and blue-violet blooms hanging limp like popped balloons. These were some of the only flowers I could confidently name. Mom suddenly kneels back down and starts scratching in the rocks, the sound like marbles placed in a cloth bag. Her work is a continuing conversation in itself, so in a way ours hasn’t ended, but it has. She focuses on her next task careful to relish in her alone time. I notice a bumblebee hovering near one deflated morning glory bloom, and with only a moment’s hesitation, it finds its way into the deep well of yellow pollen, gathering what little it could before moving on to the next bloom, and the next, guided by ultraviolet markings neither I nor my mother could see. 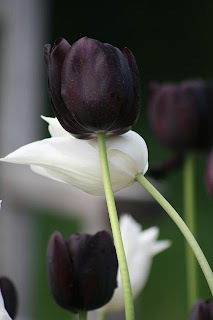 The tulips look so cute together (below). And my shooting stars are finally growing up; last year I was freaked out when they went dormant, thinking they had died. Why is it that when I go dormant, people think I've died? Maybe I should go dormant more often? How do you go dormant? Why does "dormant" sound a lot like "door mat?" Last weekend the wife and I hit Spring Affair, an annual local 45,000 plant sale. And then a week later went to the Nebraska Statewide Arboretum sale. Spring has been good (though too warm and windy to have kept the flowering trees looking good for more than 2 days). Shooting star of some kind--the species? Cornus 'Arctic Fire' still has red stems as it flowers--white berries soon to come (and then the birds get them within 5 seconds). Well, here's to summer then, and hopefully rewriting 70 or so pages of my garden memoir, and getting it right this time, because a ton of literary agents got hooked but none bit (and perhaps for good reason). No idea where the energy will come from, or how I can possibly get into writing mode again, but it's a lot like working out--including the sweating, the grunting, the smells, and the bouncy / jiggly bits (maybe not so much for men, but stuff still gets in the way). They can fight it out between Komunyakaa, Gluck, Vogt, and Campo. I'm going to have another giveaway--my sanity. Details forthcoming (once grading finals is over).